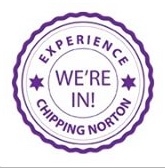 The Chipping Norton Neighbourhood Planning Project would like you to fill in their Attitude Survey Questionnaire, designed to help them develop possible scenarios for the town’s future in a new neighbourhood plan. There is a copy in the centre of the current Chippy News that you can fill in and either post or drop-in to the town clerk at the Guildhall. Alternatively, there is an online version of the questionnaire at the Chipping Norton Town website. You can fill the form in anonymously – but if you’re willing to give your name, you’ll be entered into a draw to win £50. The closing date for completed surveys is 19 May.